Are you a small business owner who is interested in cultivating happy customers, encouraging customer loyalty, and stimulating great customer growth? 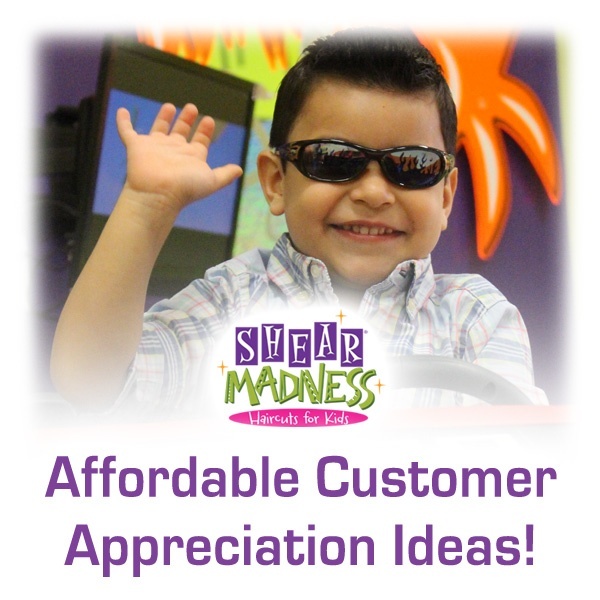 If so, the following are some creative small business marketing ideas you can use to show a little customer appreciation! And best of all, it doesn't cost a lot either! Gifts from your Community: Gifts from your community are a little more personal and unique than a mass-produced trinket ordered from a catalog. Plus, it really helps out the other local small businesses in your neighborhood. Ideas might include tea, coffee, barbeque sauces, chips and salsa, jams and more! Sending Cookies: Sending a box of cookies branded with your logo, along with a thank you note, can be a great way to show appreciation. And if you'd really like to put your best foot forward, be sure to pick gluten free cookies, or another healthy snack. Items like cookies have worked so well in the past because people will pass these out to co-workers, or take them home to family and friends. It's a nice way to get the word out about who you are! Write a Thank You Note: People today are often overwhelmed with text messages and e-mails. This is why the hand-written thank you note is such a great way to reach out to your valued customers. The note can be written on branded stationary or a card with your logo, and include a special coupon. Educational Gifts: While educational gifts may at first glance sound a bit bland, many people will regardless appreciate a useful gift that helps them learn something in a fun way. The key here is to select educational books, DVD's, audiobooks and more that are interesting and timely. Humorous Products: Everyone enjoys receiving something in the mail that brings a smile. Not only that, but it also helps convey a fun atmosphere around your business, which is especially helpful if you offer products and services to children and young people. 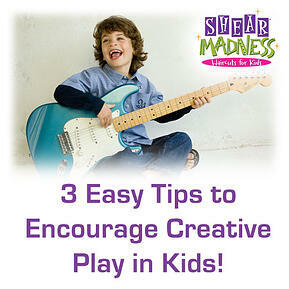 Some ideas might include crazy sunglasses, giant foam fingers, or pencil toppers featuring funny characters. But remember: whatever you decide, make sure it's tasteful and appropriate for all ages! Customer Spotlight: Don't miss out on opportunities to shine the spotlight on those customers who go out of their way to show their appreciation for your brand. For example, consider hosting a fun social media event where customers take photos of themselves interacting in a positive way with your product. Feature these photos on social media over the following weeks and months. 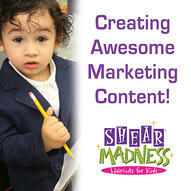 Interested in learning how YOU can join the Shear Madness Haircuts for Kids family? We are one of the fastest growing kids hair salon franchise systems in the industry today! If you would like to learn more about how to become a successful owner of your own kids hair salon franchise business, please click below or call 1-888-98 GONE MAD! In our earlier posts on Marketing a Children's Hair Salon and Increasing Job Satisfaction, we explored some of the ways that you can use creative marketing to help your business thrive. Now, we'd like to share some of our tips on cultivating happy customers by designing awesome marketing content for your business. Chances are, if you've been in business for very long, or have worked for an employer for any length of time, you're probably pretty familiar with what marketing content is. But for those who might be a little new to the subject, it's really pretty simple. It's everything you would find useful in the promotion of your business - from e-blasts, e-newsletters (and traditional paper newsletters) to brochures, flyers, stickers, t-shirt designs, business cards and more. Beware of clip-art! Nothing screams unprofessional like a standard piece of clip-art. If you really want your flyer or brochure to shine, try downloading a professional illustration or photo from a stock photography site. You might have to pay a little for it, but it'll look much better than a piece of clip-art. Beware of using multiple colors, or large blocks of color! Sometimes in the hopes of making something look eye-catching, the use of multiple clashing colors will be used excessively - or a marketing piece will have a solid color background with a more vibrant color used for the text. This can not only make your piece difficult to read, but can quickly drain the ink in your printer! Instead, try to use white backgrounds with black text. Keep colorful elements to a minimum, unless it's a photo or nice piece of artwork that pertains to your message. Beware of using specialty fonts! Sometimes in an attempt to make a flyer look "fun", the use of crazy fonts will be used in excess. Perhaps you've even seen some flyers out there that have large blocks of text in hard-to-read swirling fonts. Fun fonts should only be used rarely, with important information placed in easy-to-read fonts like "Times", "Optima" or "Helvetica". Also be sure to keep in mind that if your content is for the internet or email, fonts should be compressed into your design by using a jpeg (if possible). Otherwise, the font might be automatically changed to a basic font, and your entire design is ruined. Don't use too much artwork! Sometimes a marketing piece can have so much artwork on it that any text information gets lost. Try to keep art elements small or use white space around text to draw attention to it. Working with Photos: Photos are a powerful tool to help a customer connect with whatever service you might be offering. For example, if it's a toy store, photos of kids shopping with parents for cool toys can be a way to show your customer that this is an experience they might have if they shop at your store. However, be sure to use up-to-date photos that clearly target the customers you are wanting to reach. If your business caters to teenagers, and you use photos of retired people, you might not get the results you're looking for! Working with Designers: Sometimes you may want to hire a professional graphic designer to create a piece for you. If this is the case, be sure you have a good idea about what you want. Send the designer pictures of similar pieces that you like so they have an idea what you might be thinking. The more information you provide a graphic designer, the more likely your piece will turn out the way you want. Also, don't be afraid to let the graphic designer suggest a more effective way to present the information. They have not only been trained on how to communicate through visuals, but usually are very experienced on what works and what doesn't. Use their expertise and talent to help you create something great! In all fairness, even with the above tips - it can still be pretty tough to develop materials that look appealing and cause your customers to be excited about your brand. Not everyone has this particular skill-set. You also might not have the right equipment or computer software to develop your materials. This is why at Shear Madness Haircuts for Kids (a hair salon franchise for kids), we employ a graphic artist and social media manager. We develop great looking marketing materials for our corporate office, as well as each of our franchises. This not only helps our brand look professional, but it also helps our franchisees effectively market their business and encourage customer growth!